In August 2008, SHSU President, Dr. James F. Gaertner, announced an ERP Steering Committee to evaluate the existing SHSU legacy administrative system over the 2009 fiscal year. Several demonstrations and evaluations resulted in the University's decision to adopt Banner as a replacement for SHSU's 40-year old legacy system. 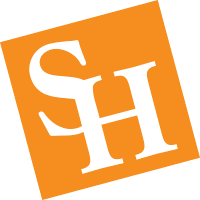 Once the Texas State University System Board of Regents unanimously approved Dr. Gaertner's recommendation to purchase Banner, SHSU staff began working with SunGard to plan the its implementation. The Financial Aid module was the first to be implemented, but later, in just an eight-month period, all others--Admissions, Registration, General Finance, Human Resources/Payroll, and Enrollment Management--were fully implemented. The project is now transitioning from the implementation phase to maintaining and upgrading the system regularly. Banner 8 was implemented by several teams, made up of administrators, staff members, and those who were hired specifically for the Banner Project. You may open the document to view the structure of the project and those who worked tirelessly to implement the new ERP system.